Don't be put off by trusses any more - TeleBeam is the answer. Forget heavy steel beams and cranes. TeleBeam is the exciting way of converting lofts. It is the very first totally bespoke pre-fabricated system which deals with a wide range of loft conversion applications. 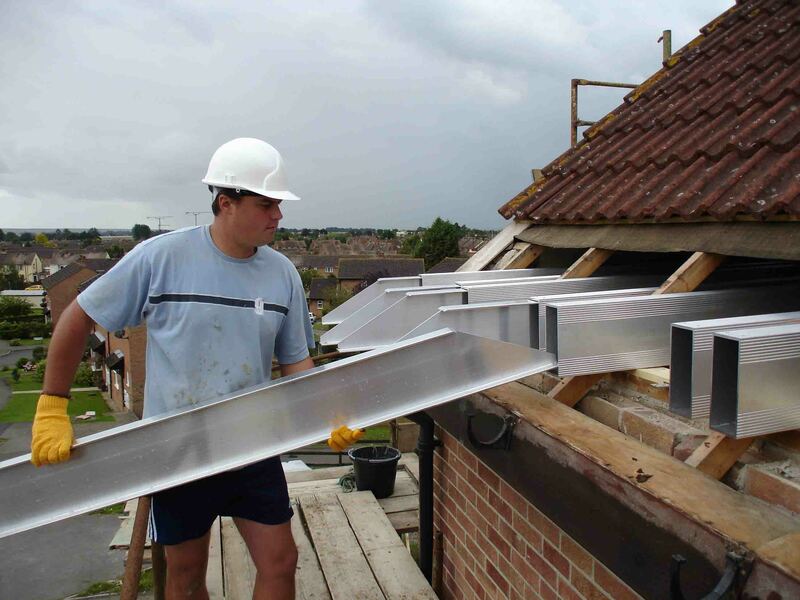 TeleBeam has been primarily designed for the conversion of roof trusses in modern buildings. TeleBeam's unique load sharing arrangement means that it is also ideal for converting lofts in modern timber framed buildings. The system is very adaptable and can be a really good solution in older style 'cut' roofs, often producing a very shallow floor build up to maintain more headroom. The TeleBeams are incredibly simple and are manufactured from strong but lightweight telescopic aluminium beams which work alongside the trusses or rafters, providing both support for the new floor load and also the existing roof loads. Roof trusses work on a 'load sharing' basis where each roof truss supports just a 600mm width of roof load and minimal storage leading. TeleBeam extends this concept further by employing two beams to help carry the additional floor load and the existing roof loading. The TeleBeam system has the additional benefit of LABC Registered Details Approval so there is usually no need for structural calculations.